With oodles of references and articles, we thought it might be a good idea to pop them all into once place for easy reference! "Monica sprung to fame after becoming one of three finalists on the “Great Australian Bake Off”. Passionate about baking, after the show she opened her own cake design company, Moreish Cakes, based in Sydney." 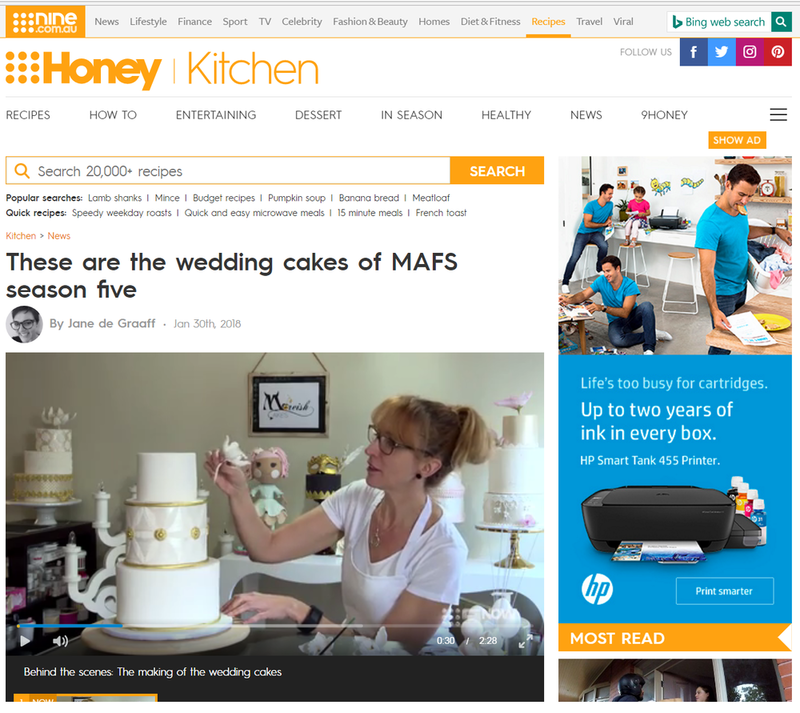 This one had Monica screaming around the Sugar Studio with excitement - her own video feature and awesome article on Channel 9 website, 9Kitchen, 9Honey and 9Now - it was even on the home page of the main site! Another great announcement for the top 9 nominees featuring Monica from Moreish Cakes! 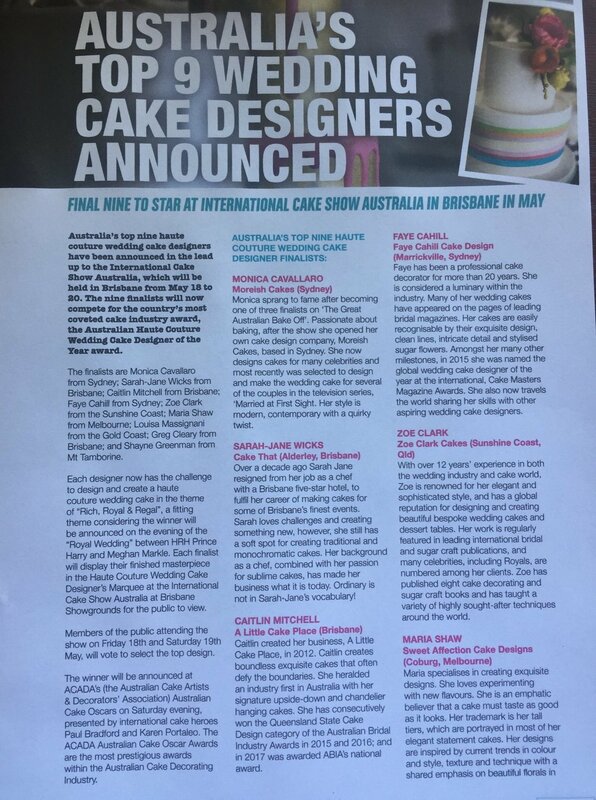 "Australia’s top nine haute couture wedding cake designers have been announced in the lead up to the International Cake Show Australia which will be held in Brisbane from May 18 to 20...."
An indepth interview with our Monica from Moreish. She offers up some great tips for wedding consultations for both cake makers and brides and grooms.